In the run up to Christmas, I went to do some shopping for presents at the Trafford Centre and noticed a new store: Kiko Milano. I’ve seen this Italian beauty brand talked about online but I’d never looked into it as none of the products really caught my attention. Their new store at the Trafford Centre, the first here in the North West, was packed with people and I decided to go in and have a nosey. I didn’t have a clue about any of the products or the price point of the brand, and was surprised to see just how affordable their vast range of cosmetics is. Now, I’m someone who likes to do my research before buying a new beauty product; whether it be make up, skin care, hair products or what have you, I like to search for photos and read reviews before spending my money. So, going in to look at make up blindly with no prior knowledge or expectations was something I haven’t done in many years. I had an open mind, left my boyfriend with the bags, and headed in. 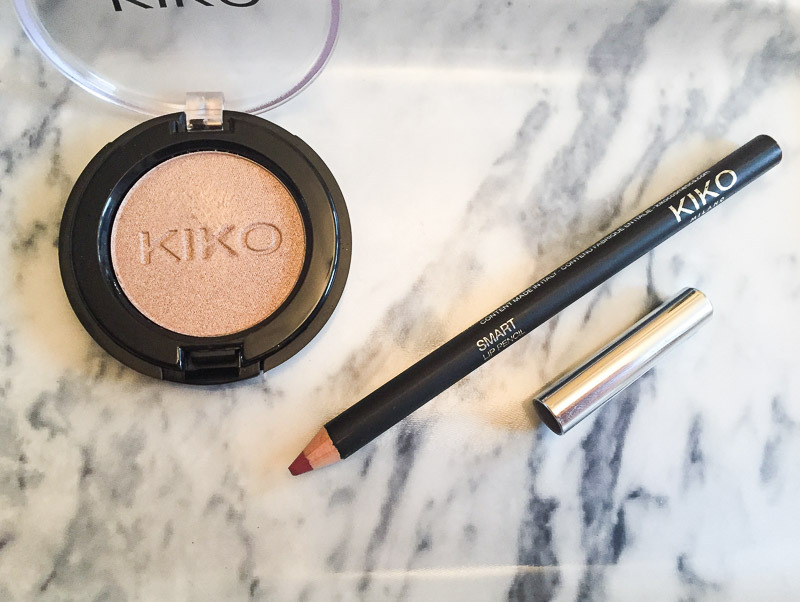 I wanted my first experience with Kiko to be a small taster, so I left the store with just 2 new products to try. I got a powder eyeshadow and one of their smart lip pencils. 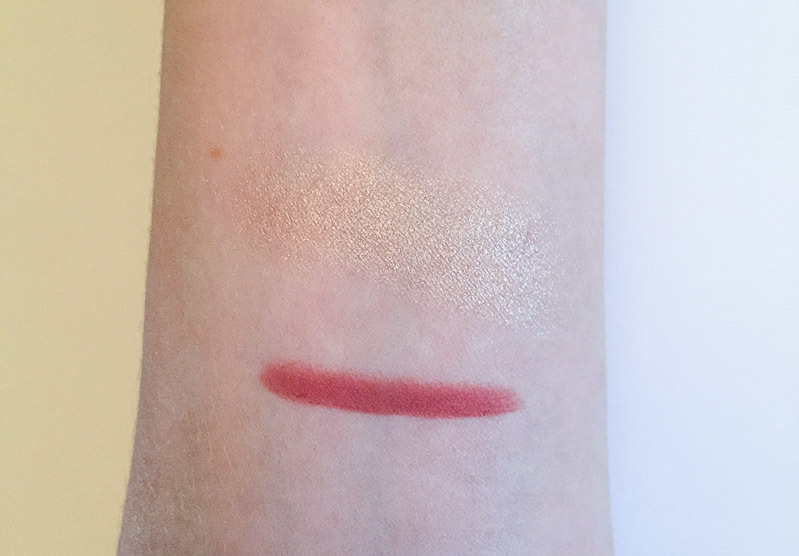 I spent quite a while looking and swatching a lot of the make up. My overall feeling was that whilst there seems to be a great range of different products in various colours, finishes and formulas, it definitely seemed like it was hit and miss. Some things swatched really well and there was an amazing range of colour choices, but there were also some duds that swatched poorly and seemed like they’d be a nightmare to work with. The eyeshadow I bought is shade 118 which retails at £2.90. 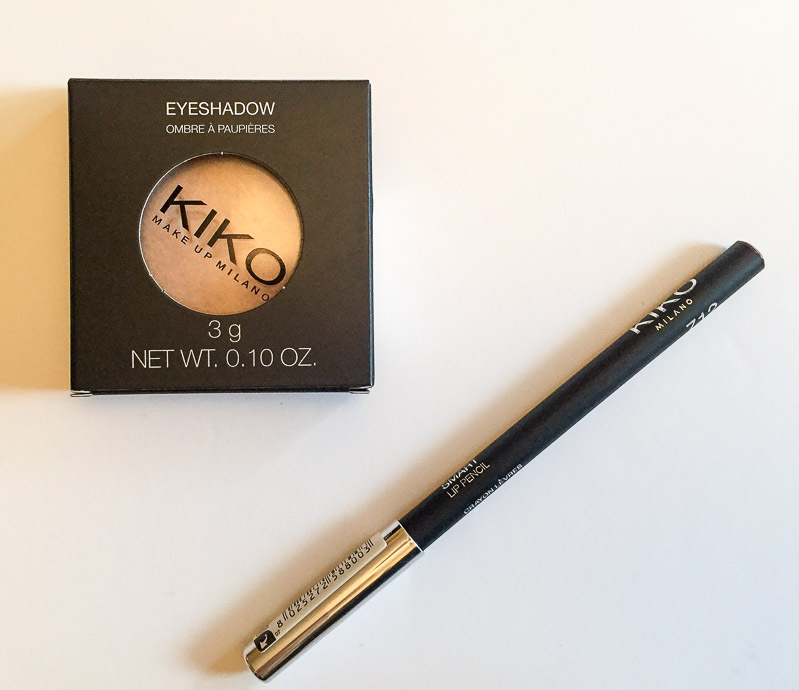 As I’ve said before, I typically wear neutral eyeshadows, so I figured trying a neutral shade from Kiko was a good starting point. 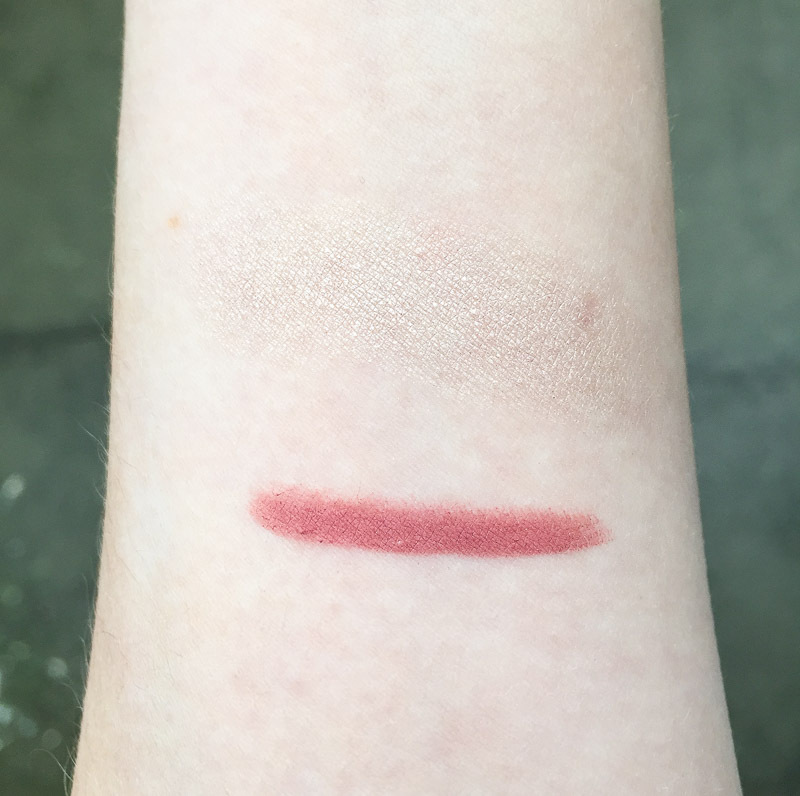 This particular one swatched the best and seemed like the right choice for me. The colour is described as pearly beige silk which seems like an apt description. It’s quite a golden beige shade with a frost finish and a good amount of pigmentation and opacity. It applied nicely and blended really well, although I had to pack a decent amount of shadow on to get the effect I was personally after. I have to say I was extremely impressed by the wear time. It lasted all day with very minimal creasing or fading. It still looked great by the time I took my make up off at the end of the day. An absolute bargain at just £2.90. 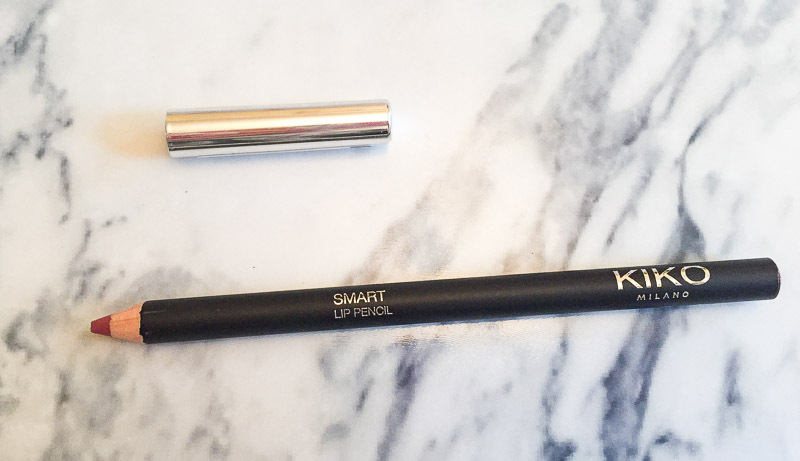 The smart lip pencil I got is shade 712 which retails at just £2.40. This product is also described appropriately as being rose mauve. It’s a pretty rose shade with just the right amount of mauve in it to keep it looking natural. 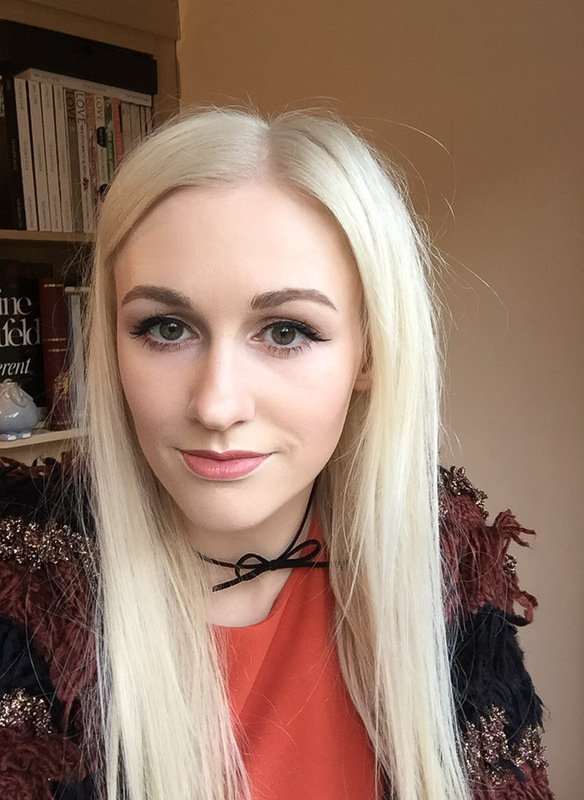 I like wearing just a lip liner for a quick and easy lip colour, and they’re great to add more definition and fullness to my pout. I was again attracted not just to the colour of this but also the formula, it gave such a nice, opaque swatch. When using it for the first time, I was pleasantly surprised at the quality. It glided on well and had good pigmentation. The wear time was reasonable, not as impressive as the eyeshadow, but lip liners never last that long on me anyway. In addition to swatches, I’ve included a face photo so you can get a better idea of how the colours look. On the lips I’m wearing the lip pencil on its own. 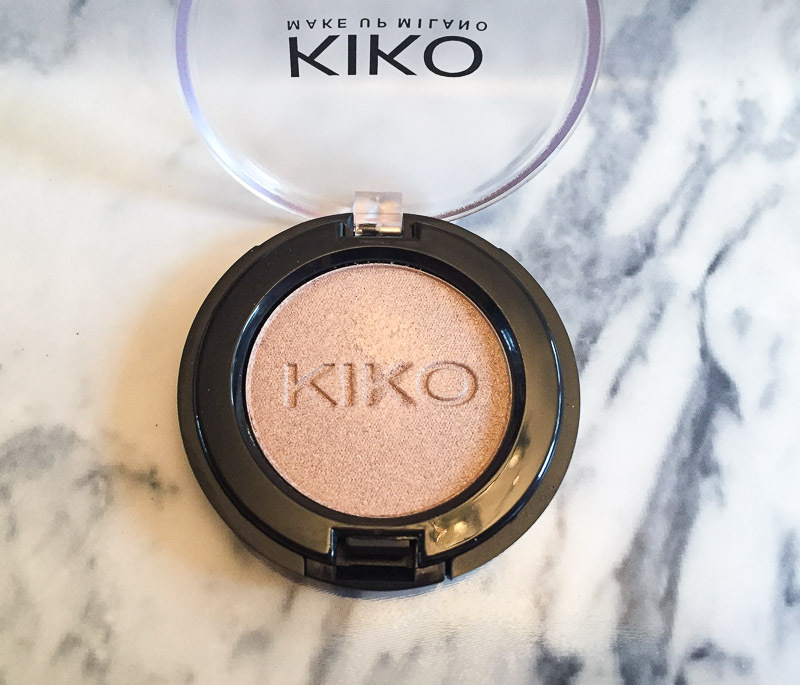 Some liners don’t give a strong and even enough colour or finish to be wearable alone, but you can see how good this Kiko one looks. That being said, it’s also going to work perfectly well under lipsticks too, and I can’t wait to have a play around with it. On my eyes I’ve done a simple look wearing the Kiko eyeshadow all over the lid, and I’ve used Anaheim from the Urban Decay Gwen Stefani eyeshadow palette in the crease and outer V. For reference I wear Mac Studio Fix Fluid Foundation in NC15 as I lean more warm toned. I’m really happy with both products that I chose, and hadn’t expected them to be such good quality given how little they cost. It’s definitely going to be a brand I look further into and try more from them, so if you have any recommendations please let me know. Ooh love the products you chose :) I was recently going to order some stuff from Kiko online but reassured they now have a store up North! Needing to get to the Trafford Centre asap.